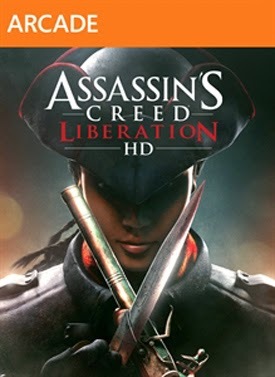 Assassin's Creed: Liberation came out on PS Vita back in 2012, on the same day that the main series game came out on consoles. Featuring not only a different story, but a new protagonist, Liberation provided a completely different experience to the home console series. Over a year later, the HD remake finds its way to consoles and PC. It originally received mixed reviews, but now it's received a graphical update, as well as a few game play tweaks here and there, is it on par with the main series? Read the full review to find out! 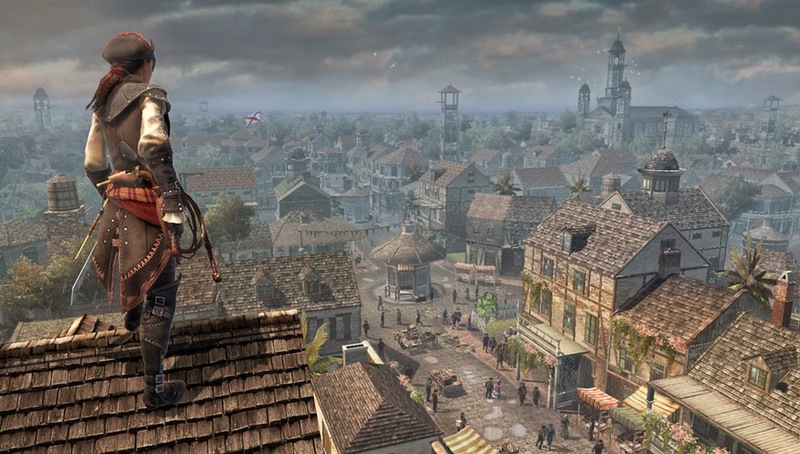 The game takes place in and around Louisiana, at a similar time period as Assassin's Creed III. Instead of playing as Connor however, you take control of Aveline de Grandpré, an assassin who was born to a wealthy merchant and a slave. After being saved by an assassin as a child, she joins the brotherhood, and sets about trying to combat slavery in New Orleans. Unlike the main series, there is very little linking it to the present time. There is a brief reference to someone being in the Animus, but these are so infrequent that it's almost forgotten about. While this makes it feel less like a game in the franchise, these scenes often felt frustratingly slow, so they're not the biggest loss. There are 9 chapters to the game, with around 45 missions in total. Most of these are reminiscent of the early Assassin's Creed games, with a lot consisting of completing objectives without being detected, or trailing someone as they walk through the streets. These get old very fast, but even the longest missions rarely exceed 10 minutes. As such, the game isn't going to last much beyond 10 hours. Unfortunately there isn't really that much to do outside of the story. There are a few brief side missions, some collectibles to collect, and a bare bones trade system that requires sending ships off to buy and sell items. Besides raising money, this isn't really worth doing and isn't entertaining, and the need for money is relatively low in honesty. There is one interesting new mechanic brought into the series however, but unfortunately the novelty is hindered by how much it restricts the game play. Aveline has 3 personas, dictated by which outfit she is wearing, each with their own "skills", and own notoriety. The more notoriety you have in a particular outfit, the more likely guards are to notice you. To decrease it, you must perform an action unique to that persona, such as killing a witness, or tearing down a poster. The big problem with these personas is that they're just annoying. Her first persona is the Assassin persona, which comes with permanent notoriety (thankfully not to its maximum extent). You also get access to Aveline's full weapon arsenal, and the ability to Chain Kill, which allows you to kill a chain of enemies in one fell swoop. Assassin's Creed has never really had a great deal of difficulty in its combat, and this just makes big fights even easier. Her Slave persona is very similar, except you are ignored a bit more by guards, have less weapons, and can't chain kill. Finally, the Lady persona is the worst of the bunch. You can't run, you can't climb, and you can barely fight. On the other hand she's infrequently noticed, and can charm or bribe guards, although this is almost never needed or useful. You can change between personas at specific points of the map, although sometimes you end up locked in to a particular outfit due to mission restrictions. Outside of the personas, the game plays like any other. Combat is fast and fluid, albeit generally unchallenging. Scaling buildings is fun, although in all honesty escaping guards is much easier on foot level, and besides the thrill of free running, doing so is often pointless and slower in the city environments. Graphically, there has been a big improvement from the Vita version. Unfortunately, it still looks fairly dated, even though it's only an update of a year old game. Up close textures look blurred or blocky, character animations sometimes look clunky or bug out, and the colour palettes are nothing to write home about. Some of the areas you go to look very similar no matter how far you travel in it, with the swamp area being a big culprit here. The towns aren't much better however, with most of the buildings looking very similar. The script and story doesn't help much either. The plot is fairly basic, but at the same time disjointed and unclear, often leaving you feeling a bit unsure as to what is going on. The voice acting is also lacklustre, with characters just not feeling believable because of outrageous accents, or poorly delivered lines. 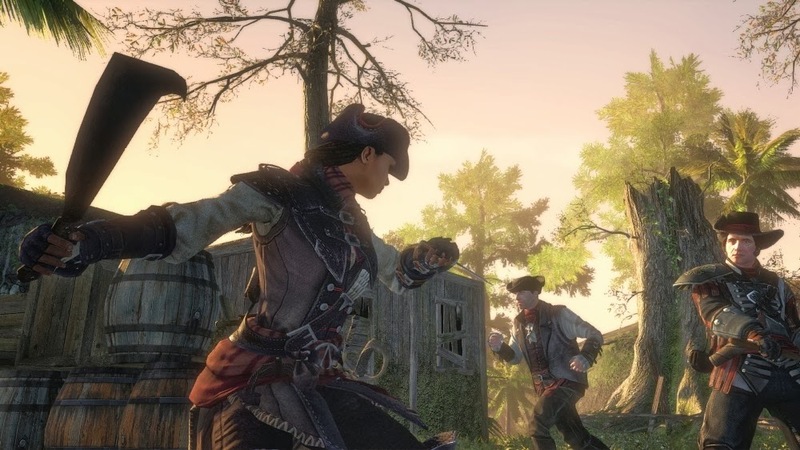 Not all of the characters are terrible in fairness, and Aveline is a well rounded character. It's just a shame that she got stuck with such a subpar game. The same cannot be said for most of her supporting cast however. All in all, it's a disappointing entry in the franchise that is best forgotten about. There are some nice ideas here, but they just don't work, and it's a great shame. In fairness it isn't helped by the recent of release of Assassin's Creed IV, that shows what these games can and should be like. Even though this only came out a year earlier, it looks incredibly dated in comparison. It may be a step up from the original Vita version, but it was never fantastic in the first place. It plays much more like the earlier games in the series, but this is no great return to its roots. Instead it demonstrates the flaws of both itself and the early games, rather than standing strong alongside its newer peers.